Wide variety of classes offered. FMI: 553-6363. Registration required. FMI: Rebecca Goodwin 318-8272. To register: Call 662-6132, at www.mmcfamilybirth.org. Cost $55. FMI: 772-4784 or www.ourbirthroots.org. 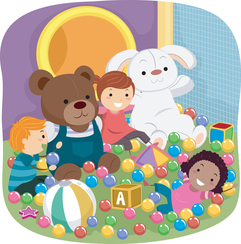 Explore infant and young toddler potty learning through group classes, private consults & free community gatherings. FMI: www.MaineDoulas.com. A place for moms of multiples to share the unique experiences of ?raising twins or higher order multiples. FMI: www.gpmomc.org. Open to any young father incarcerated at the facility. Support group for separated or divorced fathers offered the first Tuesday of each month. Fee is $10 suggested donation. Please visit our website for current times and locations. Support and information for grandparents, aunts and uncles who are raising their grandchildren, nieces, and nephews. FMI: Barbara Kates, 941-2347 or www.kinshipconnections.org. For moms and dads with children ages 5 or younger. Staff facilitator present. Free. FMI: 783-3990. Meet new babies & parents. Free. FMI: 874-8475. For children 6 and under. Cost: $3/child. FMI: 282-3351. To find car seat check and safety inspection locations in your area visit www.maineseatcheck.org or 1-866-SEAT-CHECK. The Tweenlight Zone focused on tweens (10-14 years old). A group of middle school kids do this live show and discuss music, news and information. FMI: www.wmpg.org.